This is a guest post by Brother Ivo. Those who have visited Auschwitz are likely to find their thoughts straying back there on this day of Holocaust remembrance. A visit both underwhelms with the very ordinariness of the buildings, yet at the same time the significance overwhelms, as Auschwitz reaffirms its special place in the pit of human history. A visit needs to be approached like a pilgrimage, with preparation, otherwise there will be a numbing of the experience, a confusion of conflicting emotions which may encompass anger, indignation, bewilderment and the deepest sadness. The reactions of others around you may mirror your own, yet they may not, and that too can be a challenge. Some seem visibly shocked, some deeply affected, some struggle, whilst others present as merely curious and that response can be a challenge as it may offends one’s own interpretation. 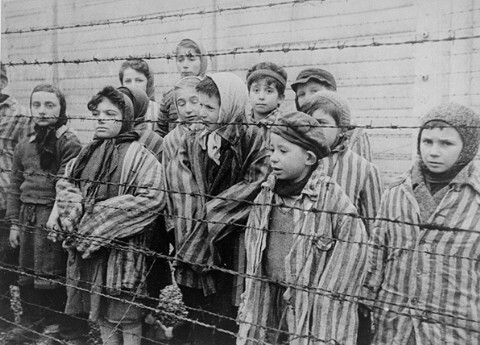 The Holocaust was possible because the humanity of the rejected was stripped away from them as it was, is, and always will be from the unwanted, yesterday, today, and tomorrow, wherever we are in the world. 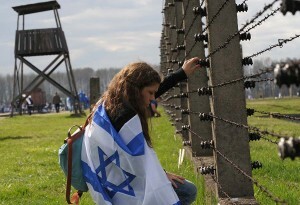 Holocaust Memorial Day needs its universal dimension. There, all humanity was killed in a systematic, planned way; not in anger, but simply because that is what the state said needed to be done, and someone had to do it. It has to be universal, but it also has to be rooted in places like Auschwitz, which shows how genocide moves beyond the personal killing of Abel by Cain. Here it is shown in all its bureaucratic, banal evil. 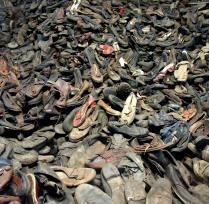 Hair is cropped and piled here, children’s shoes collected and dumped over there. When I visited, I realised that I would need to take a Bible and that I should find a suitable quiet place to read it. I decided on Psalm 88 and Psalm 10. I invite you to read them. You will find there the anguish of those who wore the prayer shawls captured in verse after verse. Why standest thou afar off, O LORD? These Psalms surely must have been prayed under those shawls. ‘Let’s not kid each other’ is the subtext. It concludes with no verse of praise, no expectation of redemption, no hope. This is why I think Psalm 88 must have been the Psalm for Auschwitz. The evil was so evil that it takes mortal man beyond hope. I chose to read these psalms before I went, and I found the place to contemplate their meaning as I stood before those prayer shawls displayed as if on a gibbet in a cabinet. Surely these psalms expressed the prayers of those who suffered and prayed under them. Many who are separated from the scriptures by the modern world may be shocked by their candour, directness, and anger. God is no stranger to the outrage of those who suffer. Two things are striking: Psalm 88 is in the same spirit as those who urged Job to ‘Curse God and die’. Psalm 10, which retains hope, pre-figures the ‘Song of Mary’ – The Magnificat. 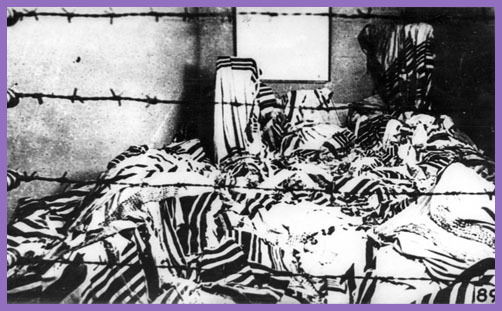 The underlying sin of Auschwitz and the genocidal killer is that of Adam himself – Pride. The proud have supplanted the judgment of God with the judgment of themselves. They take to themselves the right to judge and the power of life and death itself, and when Man does that, it leads to places like Auschwitz. It does not last. If the world hates His people, it hated Him first and God is not mocked for long. 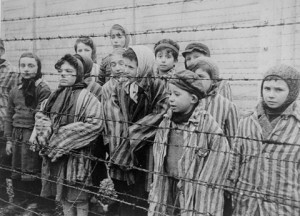 Auschwitz also teaches that early in its story the Atheist Nazi State consigned to the camp the leaders of Polish Church lest it speak its truths, hold its peoples to hope, and challenge the inhumanity of what was to come, and the pride that underpinned it. As God sent His son, so it sent His Church. Amongst those was Maximillian Kolbe, ‘The Saint of Auschwitz’, who lit a feint light in the darkness by laying down his life in place of another man. His story is worth reading today. It is one of sacrifice and the triumph of faith and hope. Yet there is another lesson and paradox to be found at Auschwitz today. 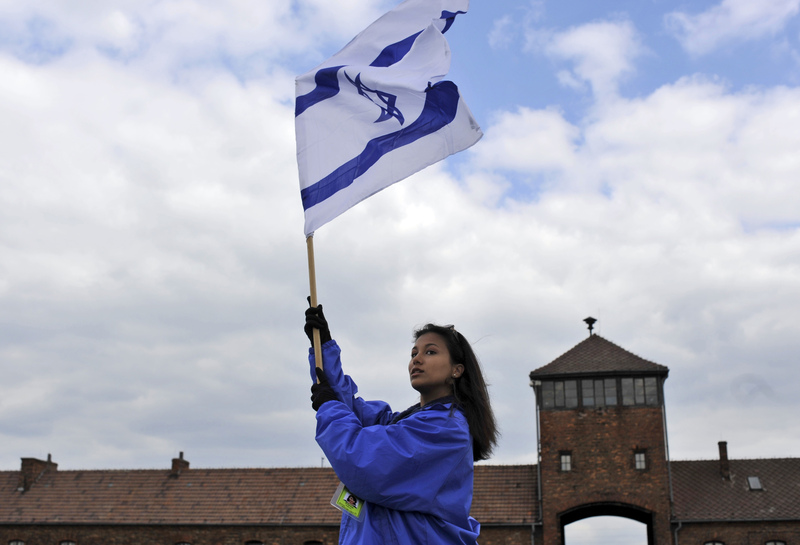 It is full of living Jews: young Jews, confident Jews, handsome young men and beautiful young girls, tanned and healthy carrying their national flag. They, too, are on a pilgrimage and have prepared themselves for it. They represent the refusal to allow the triumph of those who hated them then and who hate them today. Their presence demonstrates the power of hope in all places of despair: the light shines in the darkness and the darkness has not overcome it. It is true about our fractured humanity, our brittle pride, and our broken hearts. With His living Church and His Chosen People, the answer comes back on this and every other day: because with God, all things are possible.